Great news for L.A. Guns fans as the band version featuring singer Phil Lewis and guitarist Tracii Guns strongly hinted yesterday that their latest studio album is now finished. The group has posted a slightly revised L.A. Guns logo with the words The Devil You Know. Back in July 2018, Guns spoke to Bravewords and revealed that the band’s upcoming studio album would be called Wasn’t Tomorrow Great and some of the song titles were “The Devil You Know”, “Loaded Bomb”, “Boom”, “Rage”, “Gone Honey” and “One More Season In Hell.” Given what has transpired of late with drummer Steve Riley scheduled to play the M3 Rock Festival in Columbia, Maryland, USA under the name L.A. Guns (Guns and Riley apparently own the name on a 50-50 basis), it could be that L.A. 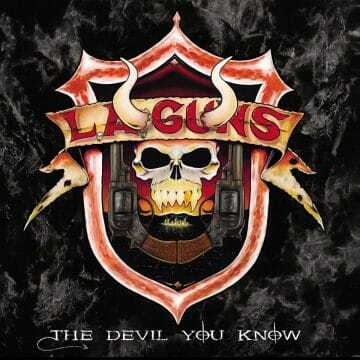 Guns featuring Lewis and Guns have decided to call their new studio album The Devil You Know.